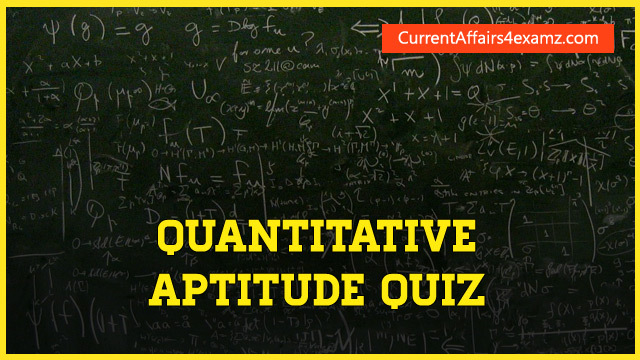 Hi Aspirants, here are some useful questions based on age for IBPS Clerk/PO, SBI PO/Clerk exams etc. Attempt the quiz and check the score online. 1. Ten years ago, P was half of Q's age. If the ratio of their present ages is 3 : 4 3:4, what will be the total of their present ages? 2. A man is 24 years older than his son. In two years, his age will be twice the age of his son. What is the present age of his son? 3. Present ages of Kiran and Syam are in the ratio of 5:4respectively. Three years hence, the ratio of their ages will become 11:9 respectively. What is Syam's present age in years? 4. The sum of ages of 5 children born at the intervals of 3 years each is 50 years. Find out the age of the youngest child? 5. A father said to his son, "I was as old as you are at the present at the time of your birth". If the father's age is 38 years now, what was the son's age five years back? 6. Kiran is younger than Bineesh by 7 years and their ages are in the respective ratio of 7:9. How old is Kiran? 7. My brother is 3 years elder to me. My father was 28 years of age when my sister was born while my mother was 26 years of age when I was born. If my sister was 4 years of age when my brother was born, then what was the age of my father when my brother was born? 8. A is as much younger than B and he is older than C. If the sum of the ages of B and C is 50 years, what is definitely the difference between B and A's age? 9. The age of father 10 years ago was thrice the age of his son. Ten years hence, father's age will be twice that of his son. What is the ratio of their present ages? 10. If 6 years are subtracted from the present age of Ajay and the remainder is divided by 18, then the present age of Rahul is obtained. If Rahul is 2 years younger to Denis whose age is 5 years, then what is Ajay's present age?